ITALY: Siemens Gamesa Renewable Energy (SGRE) will supply 23 turbines with a combined capacity of 59MW at two new wind farms in the Basilicata region in the south of the country. The first project is owned by Danish developer European Energy and will be located east of the city of Potenza. It will comprise 13 SWT-3.0-113 turbines that will be delivered in the third quarter of 2018. 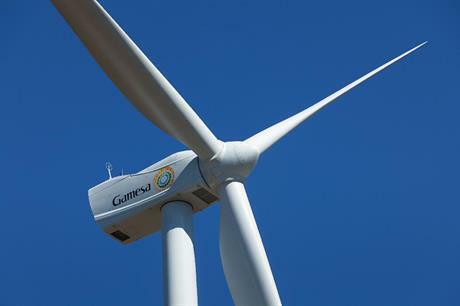 Siemens Gamesa will also supply ten units of its G97-2.0MW model for a project northwest of Potenza, with delivery scheduled for the third quarter of 2019. The manufacturer did not specify the site’s owner, but described the company as "a global leader in the renewable energy sector, which already collaborated with Siemens Gamesa in the past". Siemens Gamesa claims it has nearly 1.6GW of 2MW turbines installed in Italy — more than 10% of the country’s total installed capacity of 9.45GW as of 1 January 2018, according to Windpower Intelligence, the research and data division of Windpower Monthly.